Fifty years ago, AMERICAN HERITAGE began a six-part series on George Washington written by the famous historian James Thomas Flexner. 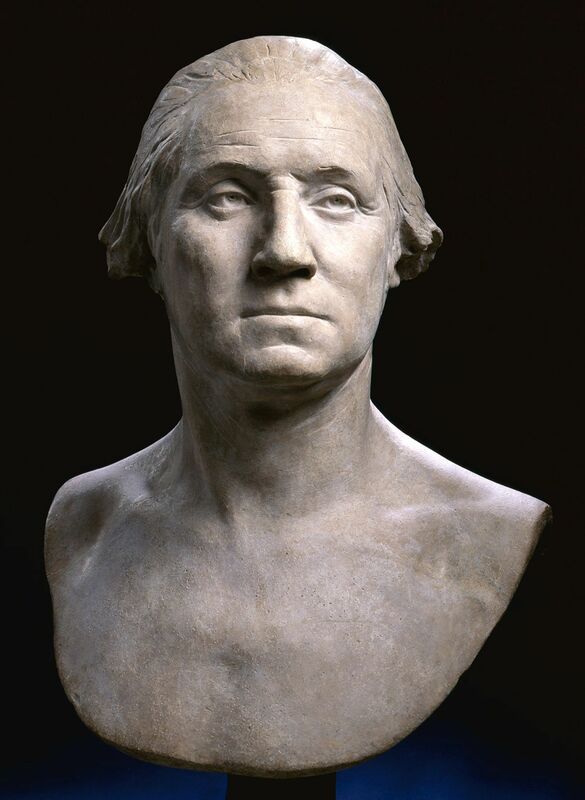 The French sculptor Jean Antoine Houdon captured Washington's likeness in a plaster life mask at Mount Vernon in 1785, one year after he resigned his commission as Commander in Chief. Photo courtesy of the Mount Vernon Ladies Association. George Washington remembered that when he woke up in the silent mornings his mind would instantly become a whirlpool of grievous things. Urgency was upon him as it had been daily for his eight years as Commander in Chief: the need to clothe thousands of naked men, fill empty bellies, procure gunpowder, write and persuade Congress; the need to build defenses, place cannon, withstand attack with inadequate forces. He had to march, explore strange countrysides, interrogate spies and prisoners. How could he find some way to defeat a stronger enemy, some miraculous way to achieve what seemed past the power and will of an emerging nation: victory that would end this interminable war and establish the independence of the United States? Then, as his long body thrashed around in an oddly comfortable bed, a strange realization Hooded over him. Although engulfed in darkness, for this was winter and he always woke early, Washington became aware that outside the windowpanes there stretched not a military camp but the peaceful countryside of his childhood memories. The sighing ho heard was the wind in his own trees, and out there the Potomac, his ancestral river, pulsed gently under the bluff on which stood his beloved house, Mount Vernon. He was amazed to find that the war was over, that he was home, that he “was no longer a public Man, or had anything to do with public transactions.” At such moments, so Washington remembered, he felt as I conceive a wearied Traveller must … who, after treading many a painful step, with a heavy burden on his shoulders, is eased … and from his House top is looking back, and tracing with a grateful eye the Meanders by which lie escaped the quicksands and Mires which lay in his way; and into which none but the All-powerful guide, and great disposer of human Events could have prevented his falling.